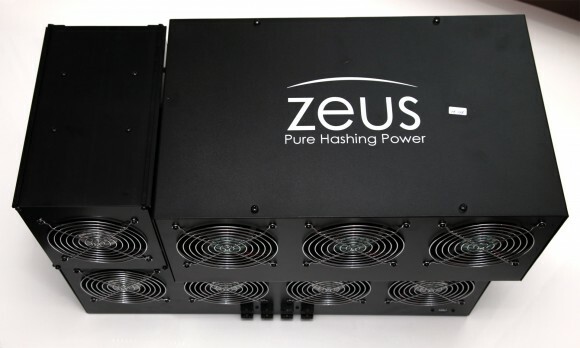 MinerEU are selling just the new miners alone and Zeus is “giving you a bonus” an older gen miner along with the new one, but you are essentially paying for the second miner and the shipping cost is higher for the two miners… so not that great of a deal, but they need to clear old stock and probably figured this is a good way to do it. If i understand ur article correctly, you are basically saying its the same chip but just under clock? that properly explains why its clock lower then the first gen model. Would be interesting to see if current gen A can be underclock? tonyc, it is not only the clock frequency, but also the chip operating voltage lowered on the new miners. On the older miners you can lower the clocks, but the voltage is not user controllable, it will require some hardware modifications, so unless you do the hardware mod the power consumption will not change much. 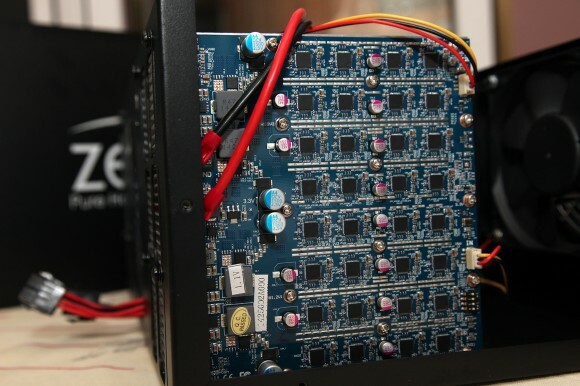 Increasing the voltage could be problematic on the new miners as they also have a power mosfet removed compared to the older miners power block design, so the new design will not be able to handle much of an increase of the voltage. Armani, we are using the official cgminer. In your case the problem might be the PSU, what power supply are you using? I’m using a SeaSonic 1250w PSU. Oh, sorry, it’s a Lightning x6, not a Thunder x6, will that make a difference in frequency? If you have a power meter you might want to check the power usage at the wall just to be sure, but it could be some sort of power supply protection kicking it… Make sure to connect separate PCI-E lane to all of the connectors on the miner, do not use two PCI-E power connectors on a single lane/cable as this can cause an overload of the line. I am super confused my clock rate is set to 238. It’s mining but marksublettejr.1 is 20 gridseeds which should be doing 6.7 Mhs the Zeus x6 lightning is rated to do 42-44 Mhs but the pool has it doing a little over 7 mhs. What am I doing wrong? Cmd says Zeus is doing much much more…. at higher clock rates it does nothing. like at the recommended 328.